It is nearly impossible to work on AutoCAD with precision without an advanced mouse designed specifically for CAD applications. This makes 3D enabled mouse an essential hardware requirement for 3D designers. Choosing a mouse which fulfils all your requirements can get really tricky at times, with such vast options available in the market. An important thing to consider is to make sure that the mouse is compatible with most CAD applications like Solidworks, Revit, Blender etc. Also the mouse should be compatible with your OS. 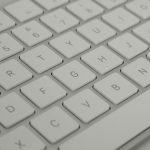 If you are a Mac or Linux user for instance, you make want to make sure that the mouse works with the OS and the CAD application on that system. Gone are the days of clicking the mouse wheel. 3Dconnexion CadMouse brings to you dedicated middle mouse button, making it simply more comfortable and convenient to press, and not scroll the wheel. Keeping in mind the working, rest, and play of the CAD professionals, this mouse is designed in an ergonomic way, offering the right comfortable and natural position to work for long hours. 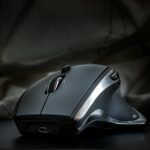 The conventional mouse is not designed keeping CAD users in mind, but 3Dconnexion CadMouse focuses CAD users only. Experience comfort with this CadMouse! Compatible with Windows 8, 7, and Vista only. 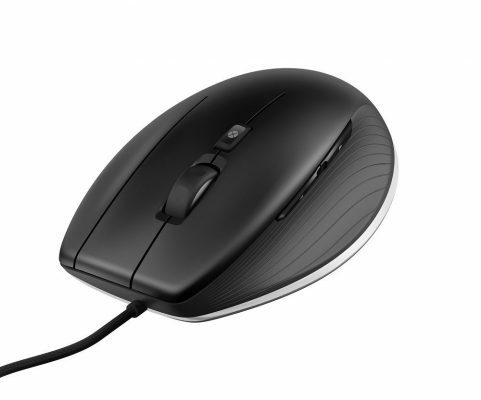 If you are somebody who uses AutoCAD, this is one mouse you would love to use. 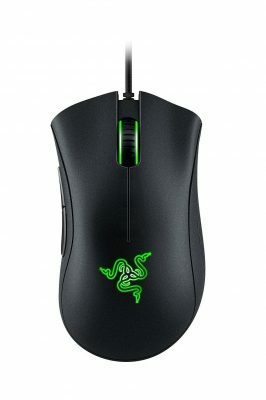 This mouse is really large in size and makes an ideal choice for the ones with medium-large hands. The 2 programmable buttons of this absolutely robust mouse allow you to set the often-used keys, making it a great aid in Autodesk. The tiny button, under the scroll wheel, brings you more adjustable options. This mouse is as good as the digitizers, something only the individuals who have been working on AutoCAD since long would know. 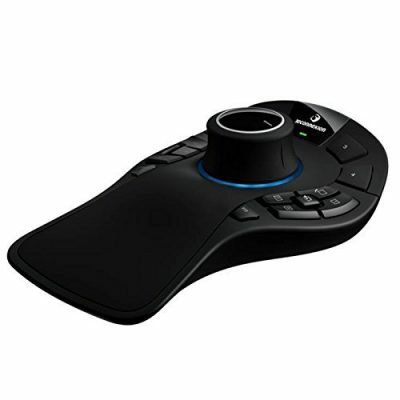 The zoom in and zoom out buttons of the 3Dconnexion CadMouse is a delight to use, and the radial menu makes things a lot easy. 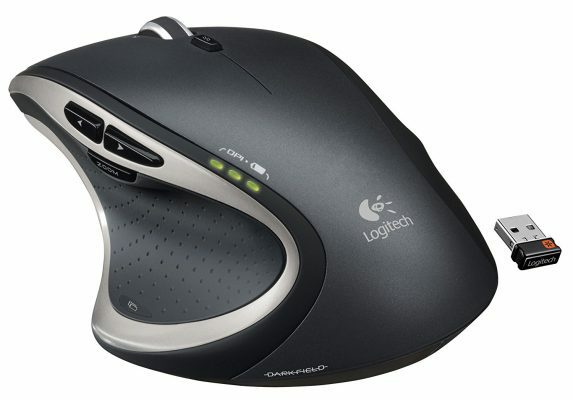 However, if you happen to be a left-hander, this mouse might not be as comfortable to you. Overall, the makers of this mouse surely understand what exactly someone using AutoCAD might need, and they have perfected their job of delivering the needful! Be unstoppable with the Logitech Performance Mouse MX! With the power of great performance in your palms, this masterpiece made as the result of ground-breaking engineering efforts of five years, helps you glide through work with perfection. Giving you the luxury to use it on most surfaces, including glass, this mouse comes with a precision cursor control. Since it is wireless, you can simply plug in the unifying receiver and continue with work without being caught in those tangled wires. The fingertip controls allow hyper-fast scrolling, quick zoom and other really cool options. Designed for unmatched comfort for long hours of break-free work, this mouse is hands down the best in its category. Experience premium features with this well sized, wireless mouse. The on-the-fly adjustable DPI sensor ensures that you do not face any drops, even during the most meticulous of tasks. Redefining perfection, this Logitech Performance Mouse MX is made of superior material, and the rubber grip for the palm and thumb rest makes it really comfortable to use. Your high-end programming software like AutoCAD, this mouse is surely a win-win! Nothing other than “amazing” can define this mouse! Making work as smooth as ever, this professional mouse is appropriately weighed and has high tech features to meet every demand of AutoCAD. The hand rest allows you to work for long stretches at a go, comfortably. One can never get hands on a finer mouse for AutoCAD than this! If it is AutoCAD, it has to be 3Dconnexion! With a great ergonomic design, this wireless mouse saves you from the messy wires, keeping your desk clean and presentable. With great battery life, you can use this mouse for uninterrupted work or the worry of having to charge it over and again. The hotkeys are amazing, and the “pucks” move well too. The weight is just appropriate to keep the mouse attached to the table and does not require your palm to hold it down. It is worth buying if you are looking for smooth working experience with AutoCAD. A passionate creation by Logitech brings together science and passion to make it an ever-winning experience. This mouse is made with precision for gaming and other high-end tasks. Experience greater speed, reliability, precision and comfort with this lag-free wireless gaming mouse. Dominate the online battlefield with the unmatched 250 hours of non-stop wireless power! Excellent build quality for some heavy-duty use is mouse is worth every spent penny. Ergonomically, this mouse is very comfortable and fits in the hand well. The adjustable DPI gives you the freedom to set is as per your current requirements. The battery lasts really long; long enough to not being able to keep track. Thanks to the software which alerts on low battery for the uninterrupted gaming experience. It also has an energy saving mode, helping you to save big, and allowing the battery to last even longer. 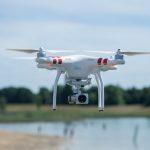 The sensors are good as long as the surface is smooth, and not wet. It has an amazing performance with the listed response rate of 2ms, much higher than the human response ceiling, and therefore absolutely no lag! 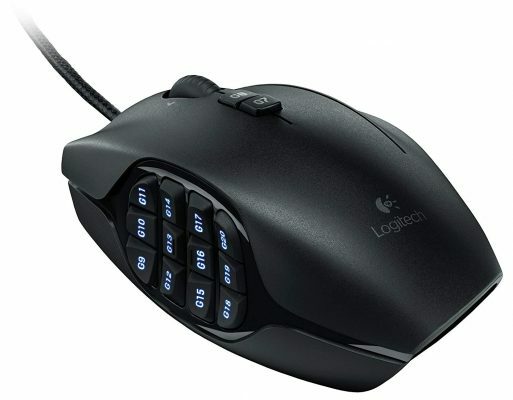 If you are looking for some solid high-performance mouse, at a really affordable price, this Logitech mouse is absolutely a no-brainer. Enjoy the 3D precision with the compact, ultra-light mouse, making it a great travel companion for the 3D designers and the enthusiasts. With a smaller footprint than its desktop counterpart, this mouse can easily be used even on the airline trays. The innovative cap design increases comfort and makes your interaction with 3D world much natural and immersive. The control is simplified with the two-button layout. 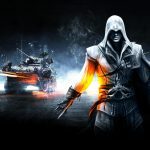 Its universal compatibility makes it all the more loved by the gamers and the 3D designers. Great for AutoCAD users, and also for several other uses. The cap design makes it a comfortable pick, and also allows for a more natural and immersive 3D interaction. Holding, rotating 3d objects on screen becomes easy and speeds up the designing process. The size is really compact, and the smaller footprint allows it to be used anywhere you feel like. Carry it to-and-fro with ease. The high-quality built of the product adds on to the many reasons to absolutely grab the product to the earliest. Experience the whole new level of comfort with this impeccable design. Fitting snugly under your palm, the Razer DeathAdder Chroma comes in an ergonomic shape, making it a great choice for even the most testing of battles. Equipped with 16,000 DPI optical sensor, this mouse is capable of 200 inches per second of movement speed and 50g acceleration. The exact accuracy and the organic fluidity owing to the optical sensor makes the gaming experience much better. If you are 3D designer, this mouse offers great accuracy with even the minutest of details. It also comes with a cool feature to customize the light according to your mood; now choose electric blue, pastel pink or the signature green just as you want! With just the right weight and superior rubber grip on the sides, this mouse makes to the list of the most comfortable high-performance mouse. The true 16,000 DPI optical sensor is very accurate and highly ideal for 3D designing and extreme gaming experience. The coolest part of the mouse is its customization option; choose from a million of colours to display your mood! Enjoy precision cursor control at any place; be it your bed, a coffee table or your favourite chair. 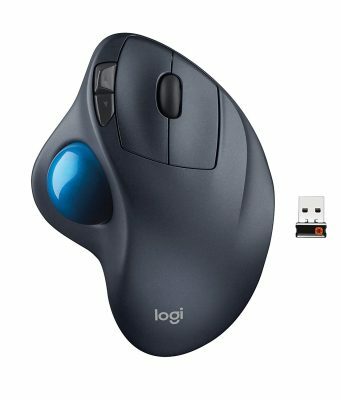 This Logitech mouse is very hand-friendly, and the wireless trackball allows you to work anywhere. Goodbye to the crampy feeling in the hand; just roll the ball with your thumb, and you are good to go! The time-tested shape of this mouse enhances the comfort. Wireless operating distance: Approx. 10m4. Logitech Unifying receiver: Connect up to six Unifying-compatible devices with one tiny wireless. Long battery life: Go for up to 18 months without changing the included AA battery. Spending hectic long hours on CAD daily can become really uncomfortable if not this mouse. You will be glad that you choose it owing to its comfort and the superior precision. The long battery life also allows you to work without having to worry about dying batteries for months together. With no lags howsoever, this mouse is "The mouse" for the ones who use CAD software. 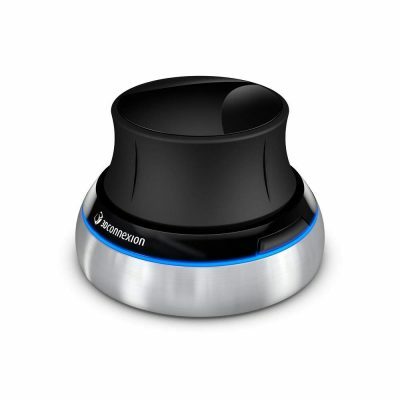 Just take care of keeping the trackball clean, and you are good to go with this product. Lay your hands on the most customizable and easy to use mouse, designed to especially help you master your favourite MMO. This 20 button Logitech G600 MMO Gaming Mouse gives you lightning fast accuracy to execute every task; be it designing to perfection or burning it out on a PVP battle. USB report rate: Up to 1000 reports/second. This is one of the most versatile mice that you can ever lay your hands upon. The clear distinction between “profiles” and “modes” sets it apart from the others, and also makes its software option adaptable. This allows you to create three different profiles for every application, and you can also set a customized colour scheme for each too. The high rate of responsiveness makes it to the list of best buys for the 3D designer and the gamers. The backlit buttons support custom colors out of a set of million colors. So you can make them green or red or whatever you favorite color is. Unveil the superiorly responsive trackball, in an ergonomic design made for long-term comfort. The advanced gaming sensors and the six button keys binding improves the gaming and the 3D designing experience of the user. This mouse makes a good pick for the ones into long hours of gaming, with its advanced responsiveness and adjustable resolution features. The pointer speed can be adjusted between 750/1500 count responsiveness which gives you smooth and reliable scrolling. The scrolling wheel can be titled sideways to provide additional functions within applications. For example you can switch between screens with the tilt function of the wheel. 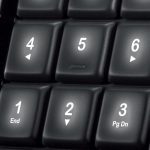 The bottom line here is that when it comes to AutoCAD, precision is primary and it should be your priority whether you are choosing a mouse, a laptop or any other device. 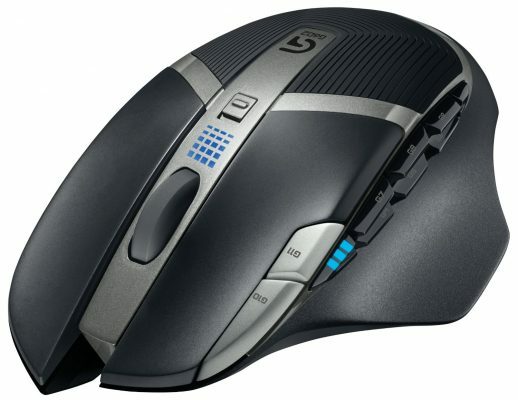 Comfort, design and technology used are the factors that you should keep in mind while you choose a mouse. Poor performance mouse can have a negative impact on your designs and overall productivity. 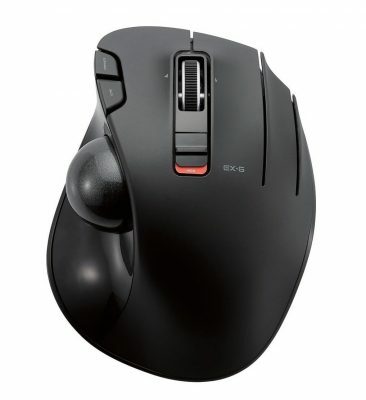 Some mouse offer extra programmable buttons that can be used in a gaming environment as well as other applications to assign specific functions such as hotkeys. Whereas other mouse have 3D mechanism that can be used to interact with on screen objects in a 3D manner. Like rotating an apple in different angles. So make sure to pick the right kind of mouse that adapts to your application and design process. Before buying one, go through the online reviews to get a hang of the user experience with the particular product. Lastly, when you have a new mouse to go with, make sure it is well-configured to work in sync with your system and other related devices.